An unofficial club of weapons experts looks for clues. 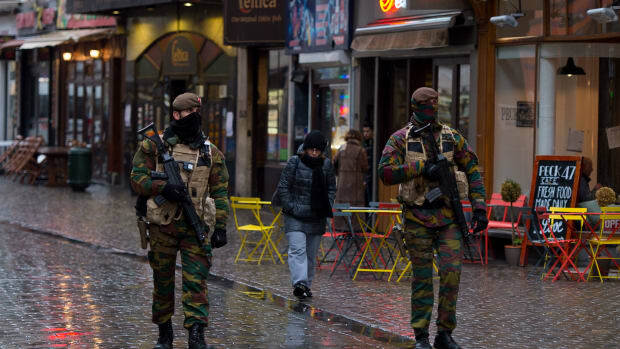 For the past few years a loose group of munitions experts, comprised of security scholars, a few journalists, and some informed people who read their websites, has been engaged in the dirty detective work of tracking the weapons circulating through post-Arab Spring conflicts. Among the key members of the conversation is an Australian analyst named N.R. Jenzen-Jones, who runs a blog on the subject called The Rogue Adventurer. 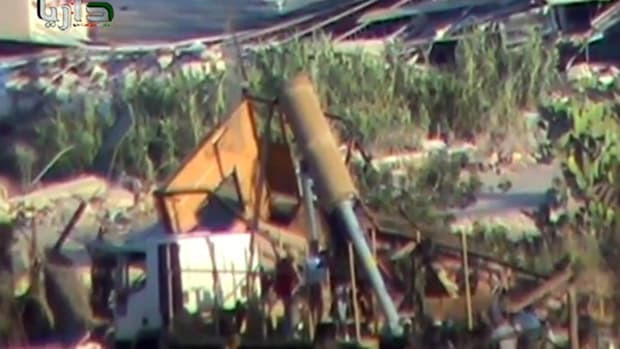 This week, Jenzen-Jones posted his thoughts on a video that Syrian rebel forces claim is government soldiers firing rockets filled with chemical payloads, rather than explosives. The forensic approach to the intensely sensitive issue—rather than a geopolitical or legal reading—is useful because it helps us understand what it really means to "use chemical weapons." For example, on several occasions, the government of Bashar al Assad has claimed rebel forces used the gas, if in fact any was used, to provoke the U.S. and others to provide aid. Jenzen-Jones&apos; technical look at the actual weapons in question, and what it really takes to deliver such an attack, could go a long way to understanding whether those claims could be even remotely true. The video shows several men around the launch site wearing red berets, which is apparently typical of the uniform worn by the Syrian Republican Guard. This is consistent with reports from Israeli sources that rockets containing chemical agents were fired by the 155th Brigade, 4th Armoured Division, which is closely aligned with the Republican Guard. 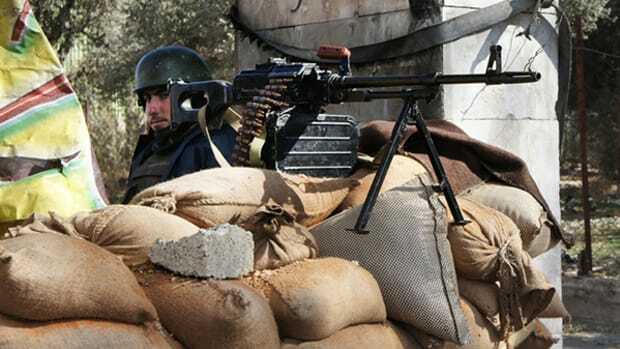 Both units are commanded by Syrian President Bashar al-Assad’s brother, Maher al-Assad. 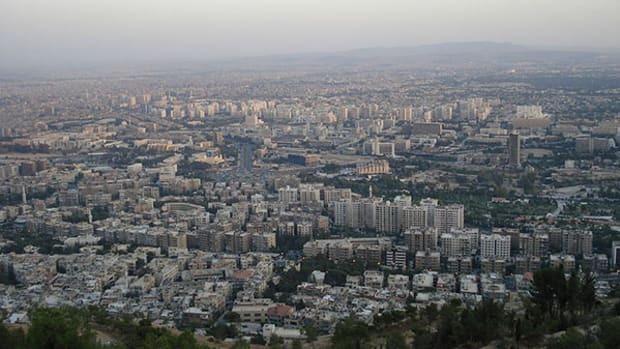 The 155th Brigade’s base is believed to be close to Mezzeh airport. 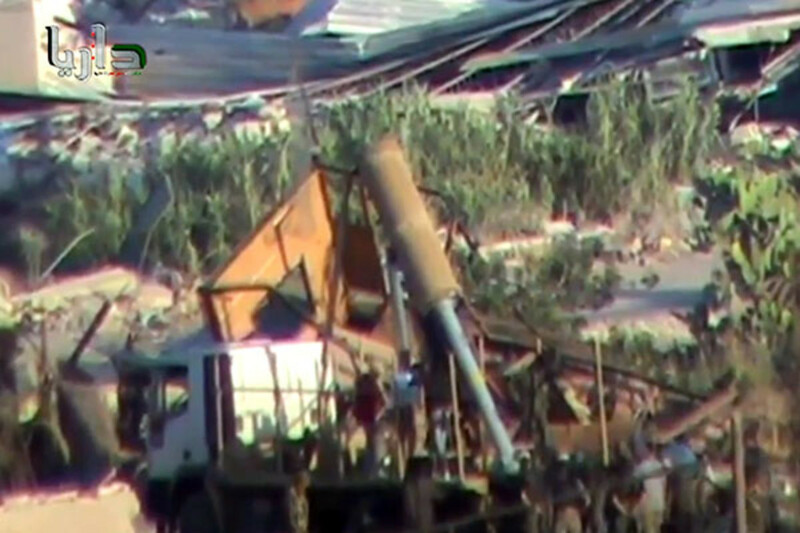 The launcher seen in the video appears to be an Iranian Falaq-2 model, or copy. These are seen in one, two, three, and four-tube configurations, and have been seen fitted to both military and civilian type trucks and semi-trailers. These may have been acquired from Iran, or may be a copy of the Iranian design. Falaq-2 type launchers are known to be in use with government forces in Syria already, having been reported towards the end of last year. Typically, the Falaq-2 launcher is used in conjunction with a 333mm FL2-A rocket of 1820mm in length, carrying a high explosive (HE) warhead – considerably shorter than the unidentified munition in question, which appears to be at the very least 2800mm (and possibly upwards of 3000mm) in length. Why do we care about the details of the rockets, if the issue is the possible use of the gas inside? It&apos;s true that the Rogue Adventurer finds its audience principally in military and arms control circles. But the kind of analysis Jenzen-Jones has undertaken here does give us at least some window into the kinds of technical questions the U.N. teams in Syria and the security advisors in Washington and other capitals are asking this week. One of only five countries on Earth to say no to the global ban. 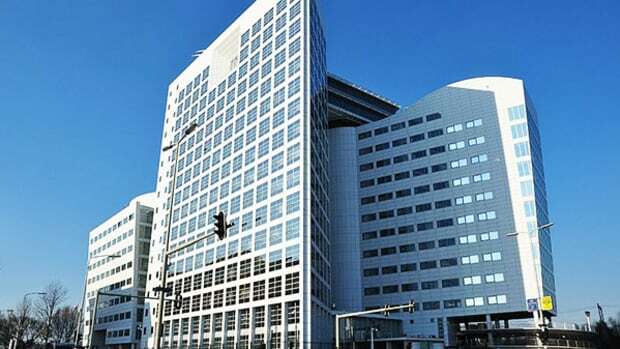 Should the International Criminal Court Investigate the Syrian Attack? Yes, argues a Human Rights Watch document. It isn't fear mongering to properly prepare the public. A series of testimonials offers notes from civilians amid the conflict, claims Syria Deeply. Two years ago, illegal arms deals helped Libya's rebels topple a dictator. 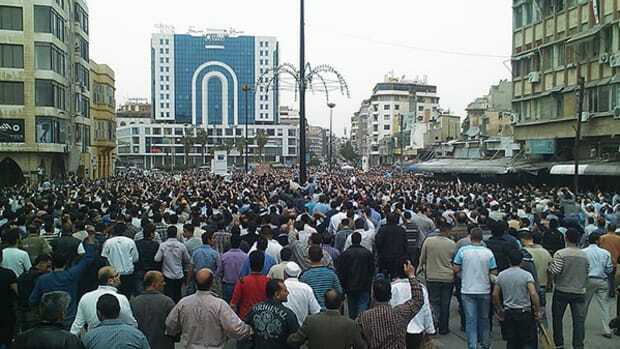 Now it's Syria's turn, and the rules haven't changed.